The attitude to ageing in Australia is “outdated” and in dire need of a “radical rethink”, a prominent Australian charity has said. According to The Benevolent Society, ageism is negative attitudes or opinions about older people and the process of ageing. As Australia’s population ages, ageism is “also growing”, and as such it is crucial that ageist structures and attitudes are addressed. “Ageism is discrimination against our future selves. It can affect every one of us,” The Benevolent Society explained. “We worry about being a burden as we get older, we fear loss of independence. But this may not be the reality for many of us. What the research shows is that many of our views about older people are based on outdated myths and stereotypes,” she continued. The Benevolent Society's survey of 1,400 Australians over all age groups found that Australians lack awareness of the positive aspects of older people’s lives, and cautioned against a culture of ageism. How does this culture manifest? According to the research, there are a number of factors and attitudes towards ageing that don't align with older Australian's reality. More than one in five Australians between 75 and 84 believe employers should be able to force employees to take reduced positions at a certain age. Twenty-one per cent of those between 75 and 84 agree that “employers should be able to make employees take on a reduced work role at a certain age”, followed by 18 per cent of those between 65 and 74 and seven per cent of those aged 85 years and over. Thirty-four per cent of those between 75 and 84 disagreed with employers having the power to force older Australians into reduced roles, with 45 per cent neutral and 21 per cent of those aged 85 and over disagreed with the majority (71 per cent) expressing neutrality on the matter. Fifty-nine per cent of respondents worry that, with age, comes inevitable physical and mental deterioration and for some, the fear of poverty of poor financial resources was particularly prevalent. According to the research, this anxiety was most common among those relying on income support, those who were unemployed and those who were single. “Financial concerns are just as common among young participants as older participants, with several young people reporting that they feel very insecure about their long-term financial prospects due to difficulties in obtaining a job and purchasing a home,” the report continued. The researchers argued that political policy and discourse around ageing also contributed to ageist attitudes. For example, language that characterised an ageing population as a burden and a cost "has also been shown to perpetuate negative stereotypes". Around half of those surveyed believe older Australians are set in their ways, need more time to do things and struggle with technology. However, 73 per cent argue that older people "have a lot to offer younger people" and 65 per cent think older people "have a strong work ethic". As respondents increased with age, they were less likely to agree that older people were set in their ways, struggle with technology, are burdensome and lack independence. Additionally, they were less likely to agree that getting older is depressing and that employers should give priority to granting younger promotions, while having the ability to force older workers into lesser roles. They were also more likely to disagree with the idea that those who do not retire at 65 were "taking jobs away from younger people". “If we can positively change the attitudes and behaviours towards ageing and what it means to be an older version of ourselves, we can begin to change the way we feel about ourselves, and change the expectations and outcomes for all older people. We will endeavour to change policies around ageing; we want people to not perceive older people as a burden, particularly a financial one," Ms Nowlan concluded. 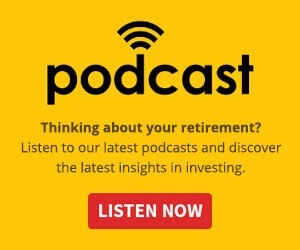 Are we unprepared for greater financial responsibility in retirement?